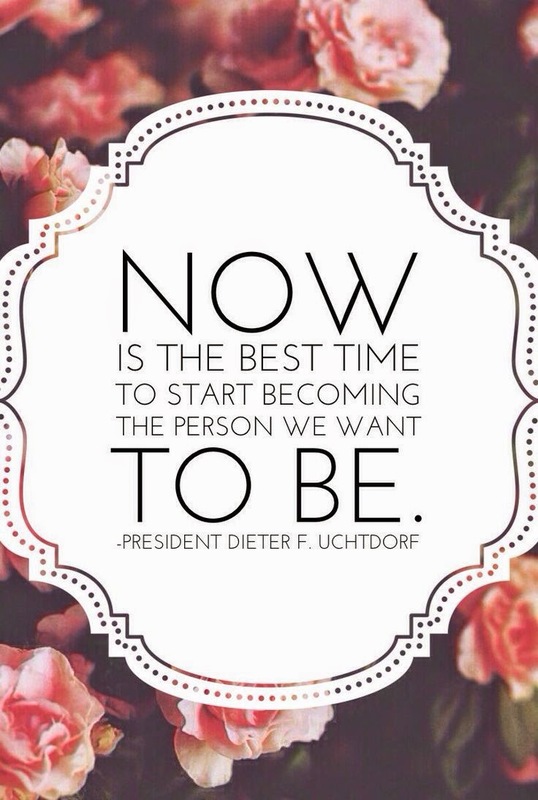 I recently saw this on my Pinterest board, and it was just what I needed to see. It's sometimes hard for me to remember that every day I can make a small change to become better. Life is hard, and it isn't always fair, but it's through trials, that we can become stronger. I've been trying my best to be the person that I want to be, and eventually to become, but I think even at my age I'm still too young to know exactly who that is. I'm made plenty of mistakes, and I have a lifetime ahead of me for many more, but I hope I figure out who I want to be along the way-and not just on the outside, but most importantly on the inside. It was a great reminder to focus more on improving myself, rather than always pulling myself down. I know that takes time... maybe even years, but I'm up for the challenge! Who's with me? i was thinking about this the other day! i think i want to start making weekly character goals, so that i can slowly become who i want to be. thanks for this girl!